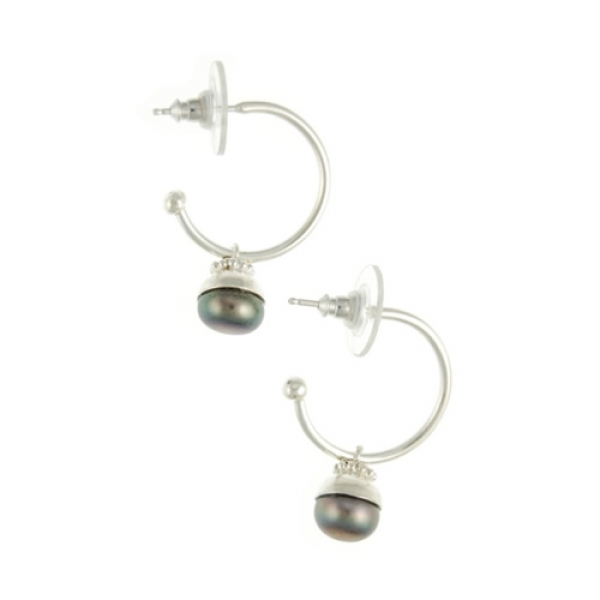 From the Fair trade collection; these hoop style earrings are handmade with sterling silver plate featuring a freshwater pearl drop in peacock. Approx earring drop: 3cm. Complement with the Peacock pearl necklace for a perfect set and gift idea.